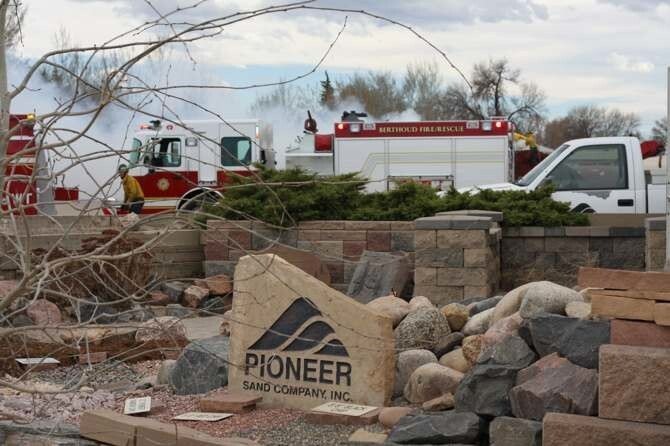 The Crystal Fire may be larger, but there was some excitement in Berthoud on Saturday afternoon as firefighters responded to a fire Pioneer Sand Company. David and Julie Dowen of Mead happened to be on had to takes some photos. 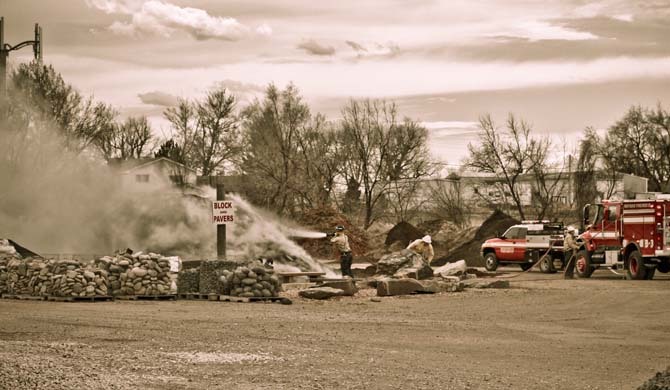 According to Ms. Dowen, the desk clerk told her that a customer had come into the office and said, “Hey, your mulch is on fire.” The call went out to Berthoud Fire who responded to cool things off. Note: You can still get mulch if you need it as it can be delivered from one of the firms other locations. 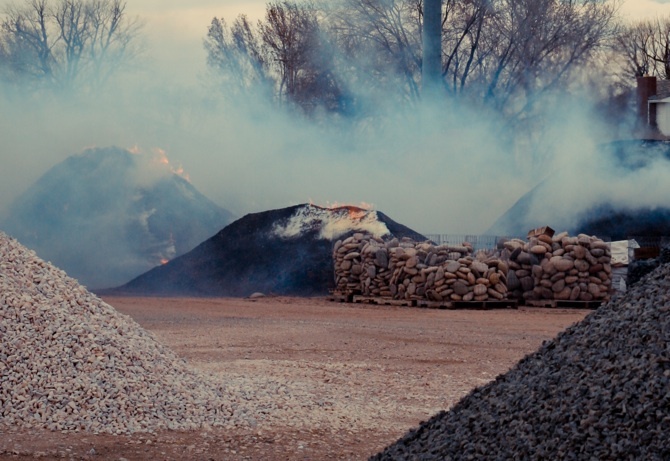 The mulch creates a great deal of smoke as well as flame. 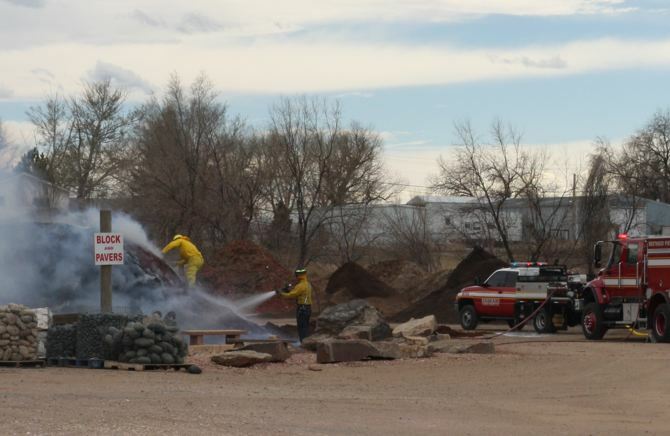 Firefighters pour on the water and pull the pile apart. Site contents copyright © 2019 Recorder Online	except as noted. All rights reserved. | 84 queries in 1.101 seconds.